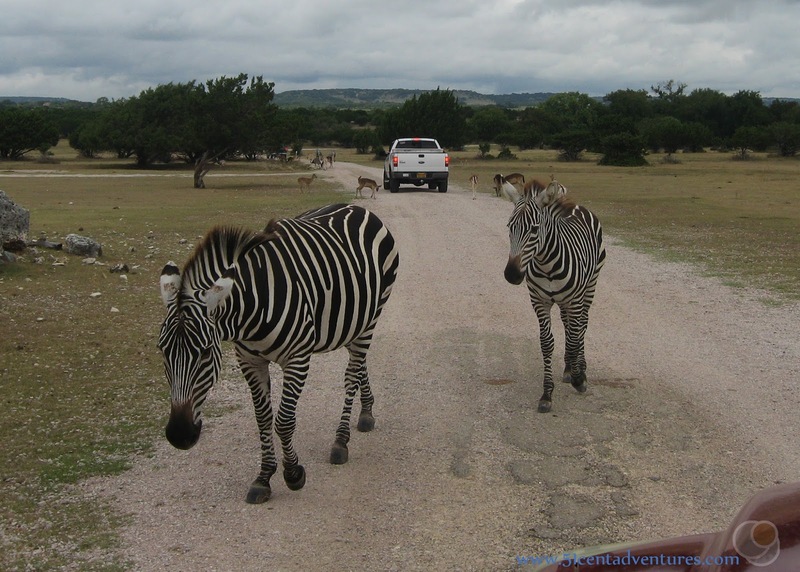 The Topsey Exotic Ranch and Drive Through Safari is located in the heart of the Texas Hill Country just a few miles north of Copperas Cove, Texas. You can drive your own car along a loop road and feed the hundreds of animals living on the ranch. You will see many zebras, goats, emus, ostriches, buffalo, deer, elk, llamas, and many more animals including a camel. 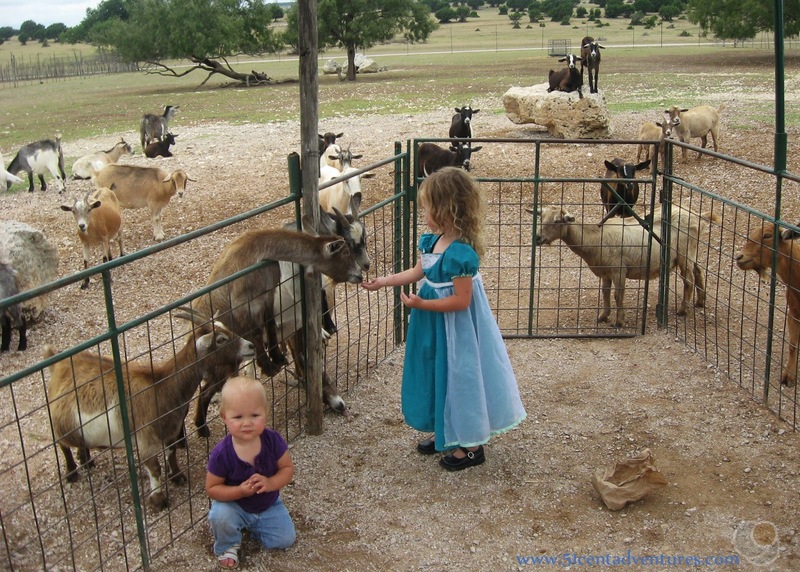 When you are done with the drive through part of the ranch you can walk through a small zoo which includes some animals that you can pet. Cost: $11 for adults and $9 for children from ages 3-11. Military discounts are usually available from Fort Hood. 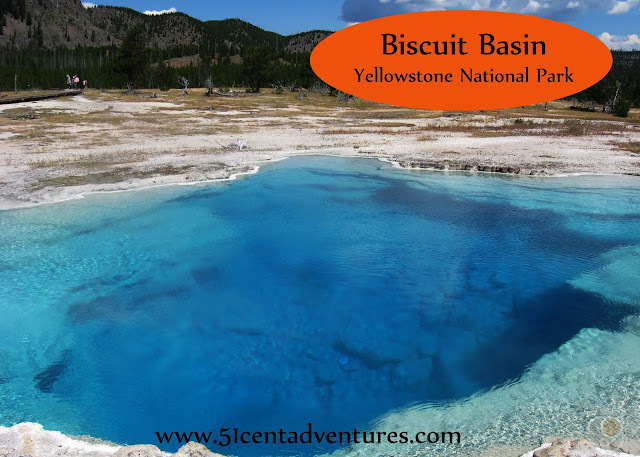 I visited this exotic ranch with my four children back in the fall of 2014. My husband had been deployed to Korea since late January, and by this point the kids and I had a pretty good routine in place to help us get through his absence. A lot of that routine involved interacting with other people. We went to church on Sunday, the kids went to a little hourly care daycare center on Tuesdays while I ran errands in peace, we had speech therapy for my son on Wednesdays, we went to library story time on Thursdays, and we usually had a playdate on Friday. Everything was running smoothly. That is until my kids all came down with Hand Foot and Mouth Disease which is super contagious. And suddenly we had to cancel all our plans- including a trip to Houston to see my sister. After only a few days of self imposed house-arrest I was starting to get pretty stir crazy. I knew there was no way the kids and I would survive the weekend without something fun to do. But I had trouble thinking of anything that we could do where we wouldn't risk getting other people sick. 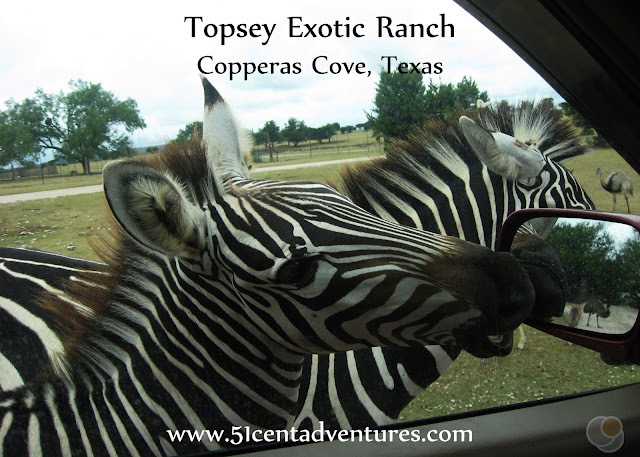 After thinking about it for a little while I remembered that a nearby town called Topsey had an exotic ranch with a drive through safari. 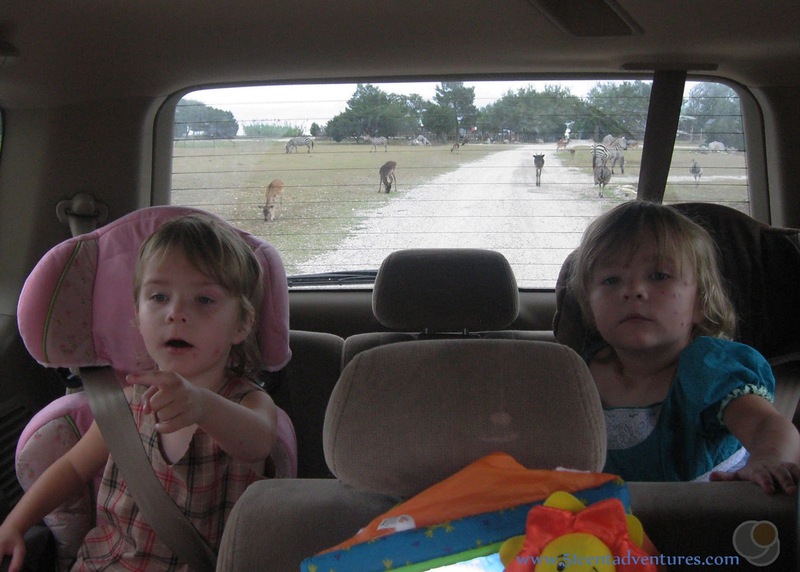 It sounded like the perfect solution - we could see animals without having to get out of the car. We hadn't been yet because I thought that the $11 adult tickets and $9 child's ticket prices were a bit steep. But I didn't care about that - we needed something to do. The Leisure and Travel Services (LTS) Office at Fort Hood provided discounted tickets for military personnel and their family members. I took the kids to pick up the tickets from LTS on Friday afternoon. I was a little worried to take them into the office. If someone looked closely they would notice all the bumps on my kids. But I told the kids not to touch anything, and the staff was quick so we were in and out of there without spreading too many germs - I hope. The discounted price was $9 for an adult and $6.50 for my three year old twin girls. My two year old boy and almost one year old daughter were free. The discounted price was still probably more than I would have paid under normal circumstances, but I was despite for something that would get us out of the house. On Saturday we happily packed up the car and went on our adventure. 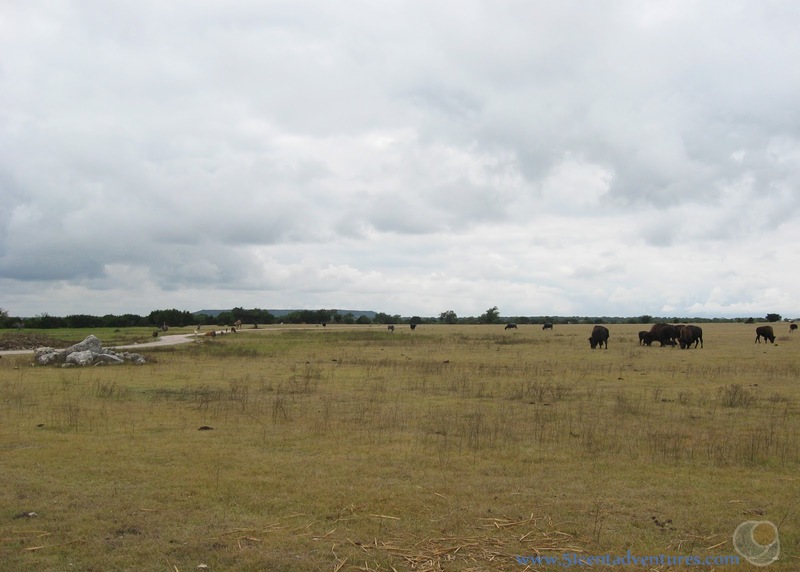 Topsey was less than 30 minutes from our home on West Fort Hood. Soon we were driving up to the Exotic Ranch's Entrance. There was a little building where I showed my tickets from LTS and bought a bag of food that we could feed to the animals as we drove through the safari. Then we drove through a little entrance and were greeted by zebras eager for a snack. The twins were so excited to see so many animals. The ranch bills itself as having over "50 species of animals." I'm pretty certain half of those were just different species of antelope and deer. We saw a lot of deer. 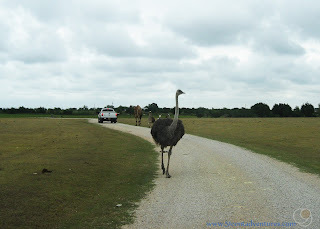 There were also a lot of emu looking animals. We could throw food out to the animals and watch them eat it. I'd been told that we couldn't hand feed the animals, but that didn't stop my son from trying to pet them. 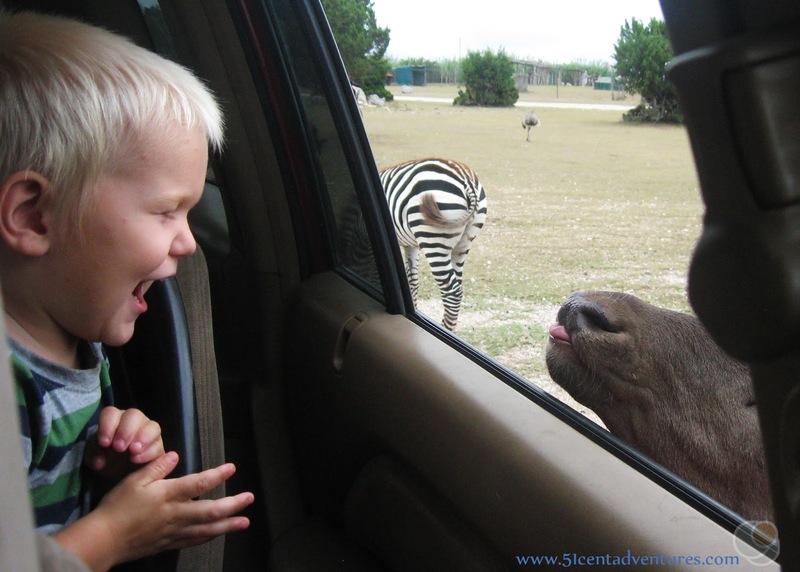 He thought it was so funny to let the animals lick his hands. The girls also had fun interacting with the animals. I love this picture of my daughter looking out the window. 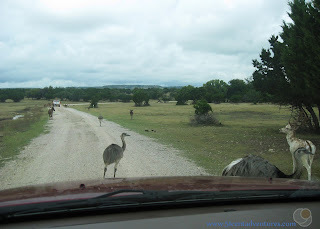 Most of the drive through the ranch involved driving slowly past animals and feeding them food. According to the signs outside the Ranch there was supposed to be a tiger somewhere on the drive, however we never saw it. Towards the end of the drive we came up to some large animals that provided plenty of excitement. The first was this ostrich. It came up and started pecking at the windows. My kids were pretty scared of it so we rolled up all the windows. Next up was this animal that we have since referred to as "the big horned cow." This one had me terrified. I'd had to sign a release stating that I wouldn't hold the ranch liable for any damage the animals did to my car. I was terrified the cow would casually shake it's head and smash in our windshield. But by far the most terrifying animal was this camel. We'd watched it stick it's whole head and neck into the truck in front of us and the kids were terrified it would do the same thing to us. 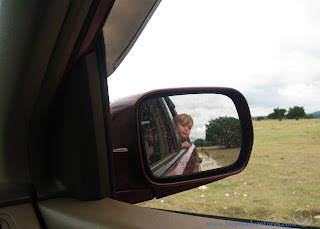 I kept assuring them that we had all the windows rolled up and we would be safe. 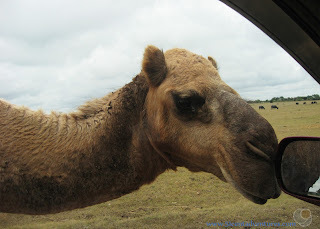 I was keeping an eye on the big horned cow and so I didn't notice the camel circle around the car and stand by my window. I screamed when I glanced out my window and saw the camel staring at me. It reminded me of that scene in Jurassic Park when the T-Rex is right outside the car window. 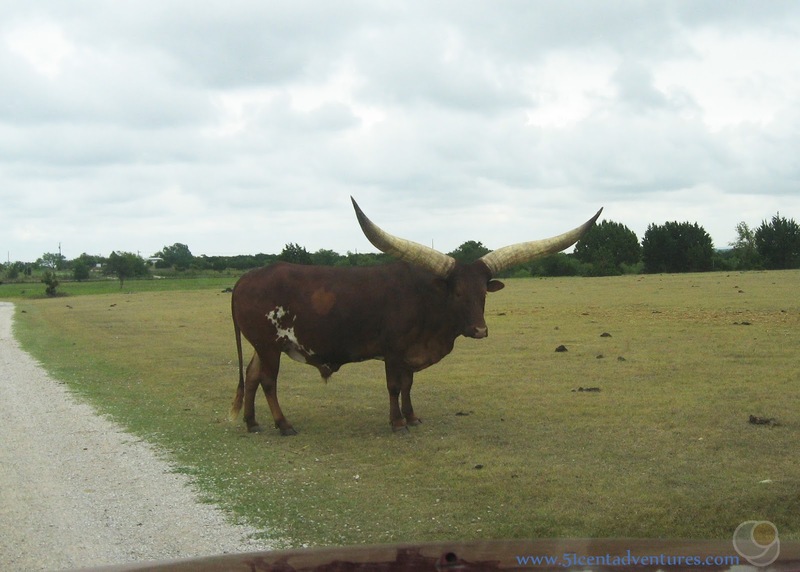 The ostrich was still pecking the window and the big horned cow was dangerously close to the windshield. I was starting to feel like we were in the movie Jumangi. The kids were all crying. Finally the big animals moved enough that we were able to keep driving. The girls were convinced the camel was following us. I asked them if they wanted to feed these buffalo, but the girls just cried and said they wanted to go home. We drove out of the safari area, but we weren't done with the ranch quite yet. I drove to a little parking lot where we ate the snacks we'd packed for ourselves. Then we went over to the petting zoo area. The girls didn't want to go at first, but I told them all the animals would be little. 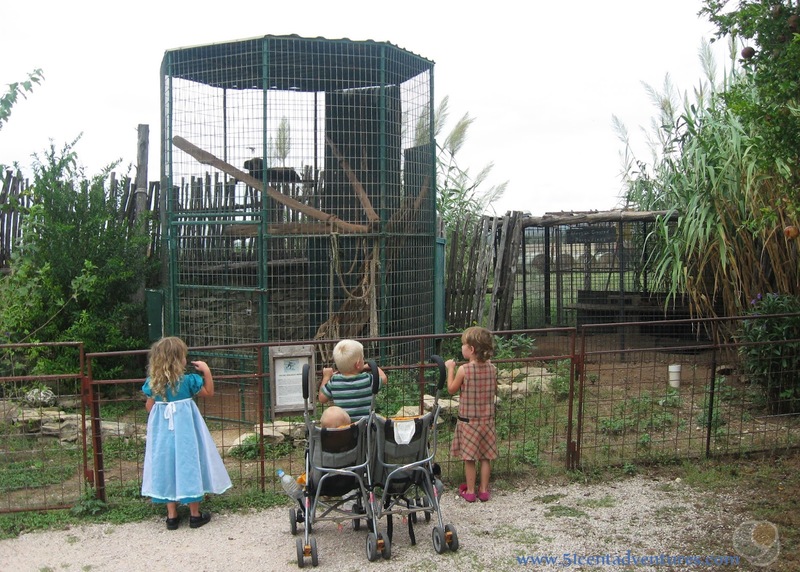 There were many birds and other animals in cages. The kids' favorite part was this area where they could feed and pet goats. We could have gone into the pen with the goats, but that was more interaction than any of us wanted. When it was time to go I teasingly asked the kids if they wanted to drive through the safari again. They answered with a very fearful chorus of "No!" Our trip to the exotic ranch was exactly what we needed to get through the next week of quarantine. It was so nice to have somewhere to go when the kids were so contagious. I always wanted to come back here with my husband when he got home, but we never made it back. Recommendation: If you are looking for a way to look at animals, but you don't want to do much walking then the Topsey Exotic Ranch is the perfect place to spend a few hours. 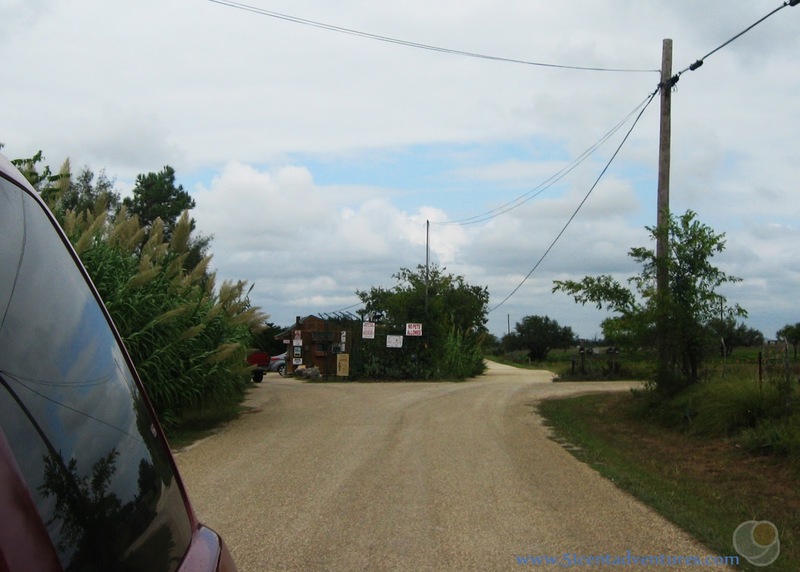 Directions: Topsey is a teeny tiny town located to the north of Copperas Cove Texas. The most direct way to reach the ranch is to take Avenue B northwest out of Cove. As you dive it will turn into FM 1113 which leads right to Topsey. 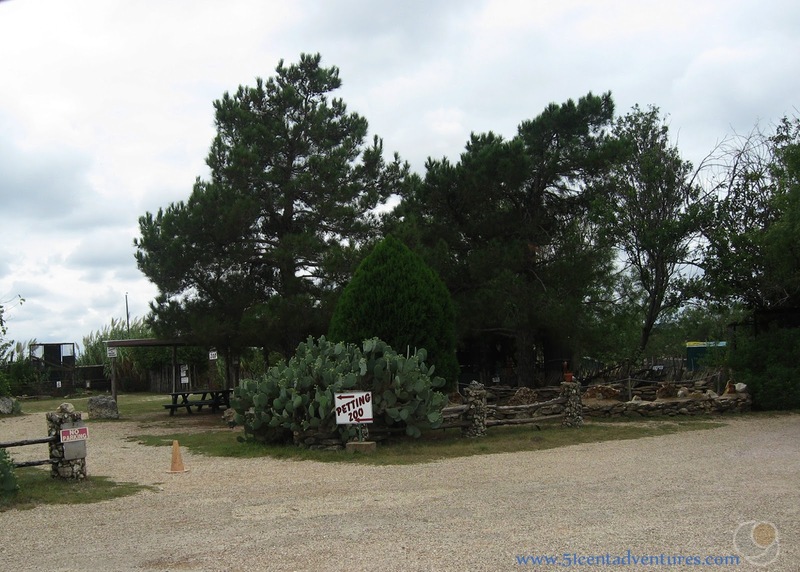 Once you reach Topsey make a left onto FM 180 and then the next right onto Co Rd 118 which will lead you right to the entrance of the ranch. 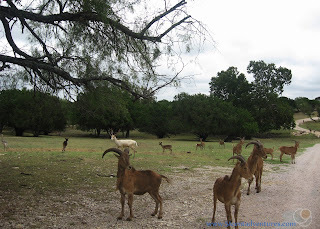 Places Nearby: If you want to see more animals in a traditional zoo setting then I highly recommend the Cameron Park Zoo in Waco, Texas. That zoo has all the animals you expect to see such as Lions, Elephants, and Giraffes. The zoo grounds are well maintained. And the price is very affordable. It's honestly my favorite zoo.